Kindle Fire apps are considered to be Android apps, only they are sold specifically through Amazon's App Store. Because of this, they must be set-up, configured, and distributed differently than typical Android apps. 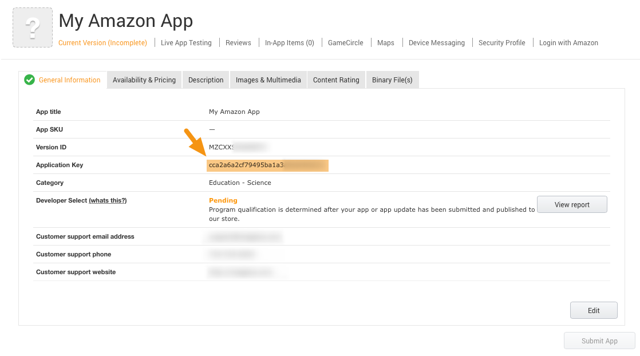 This article covers creating an app in the Amazon Developer Console in order to receive an Amazon Application Key. An application key prevents unauthorized distribution of your app and is also used to verify in-app billing purchases. 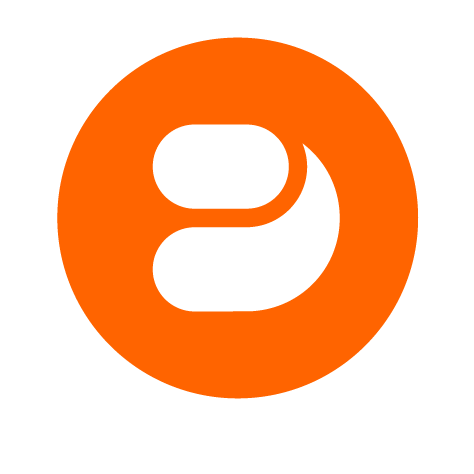 Currently, Mag+ only supports creating Kindle Fire tablet apps. For more information on supported Kindle Fire device resolutions, please refer to the article "Reference - Device and Issue Compatibility." Make sure you have signed up as an Amazon developer. 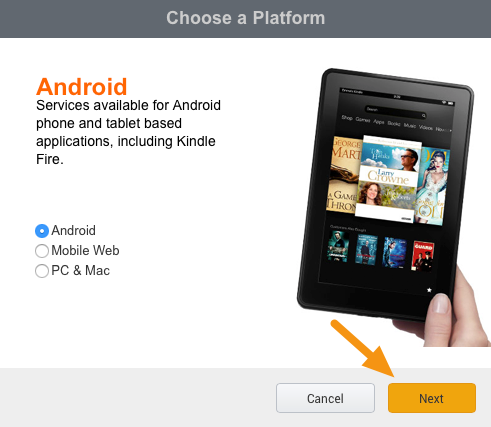 For more information, read the article "Android/Kindle Fire - Set-up Your Amazon Developer Account." You must get an Amazon Application Key in order to connect your Kindle Fire app to your Mag+ Publish portal account. Think of your Kindle Fire app as a placeholder. It provides information that you enter into the Mag+ Publish portal to provide specific features. 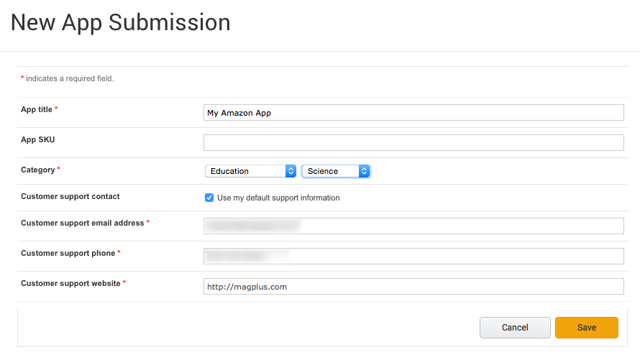 The Mag+ Publish portal is the place where you upload your app's content, set customization options, and then finally build a branded app that you upload to the Amazon Developer Console. Once this is done, it is the Amazon Developer Console that publishes your app to the Amazon marketplace. 1. 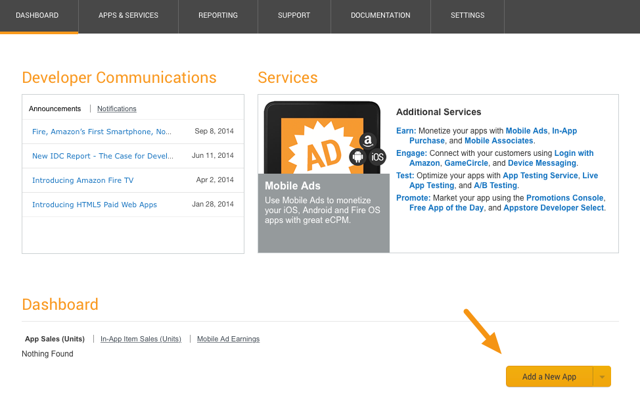 Log in to your Amazon Developer Console <https://developer.amazon.com/home.html> and click on "Add a new app." 2. Select the "Android" platform in the window that appears, and then click "Next." 3. Fill out the required information and then click "Save." App Title: The name of the app as you want it to appear in the Amazon marketplace. App SKU: An internal Identifier for your app (not required). Category: A broad description of the kind of information your app will provide. Customer support email address: An email address that end-users can use to contact you if they are having problems with the app. Customer support phone: A phone number for your Support department for your end-users. Customer support website: A website where your end-users will be able to find support if they are having problems with your app. Note: Mag+ does not support end users of our customers' apps. When a Mag+ customer produces an app, they are expected to provide their own support for people who buy and use their app. 4. The App Detail screen will appear. Find the Application Key and copy the number for later use. 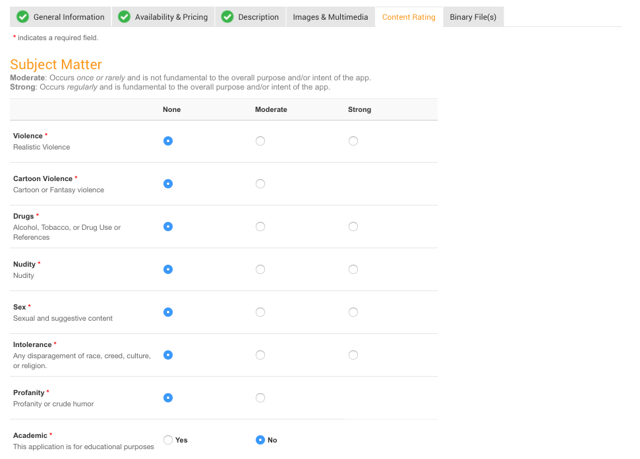 Note: You can take the opportunity to fill out the information for your app (such as Availability and Pricing, Description, etc) but that's up to you. 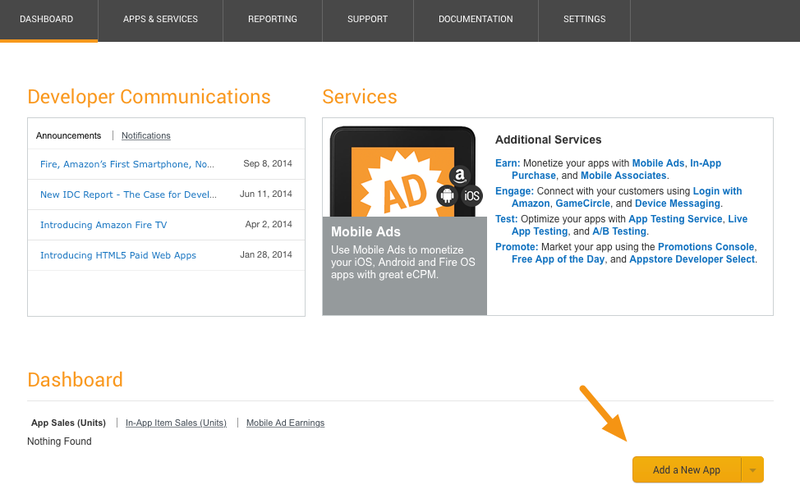 You can edit this information at any time prior to the publishing of your app. 5. Click on the Availability & Pricing tab, fill out the information as requested, and then click on "Save." Note: This is where you set whether to make your app free or paid and in what countries it will be available. 6. Click on the Description tab, fill out the information as requested, and then click on "Save." 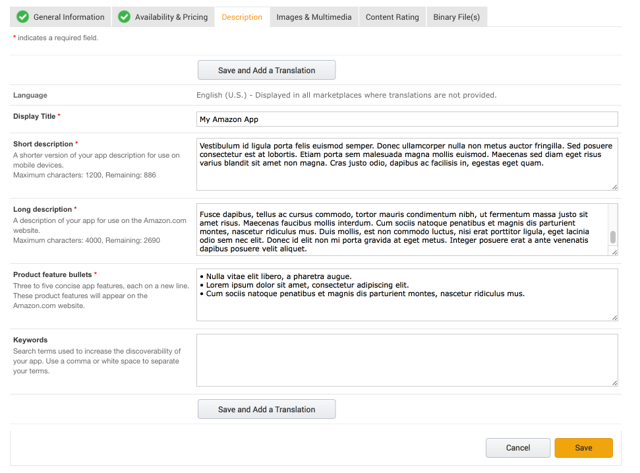 Language: This should be set to the same language as the content you will publish. 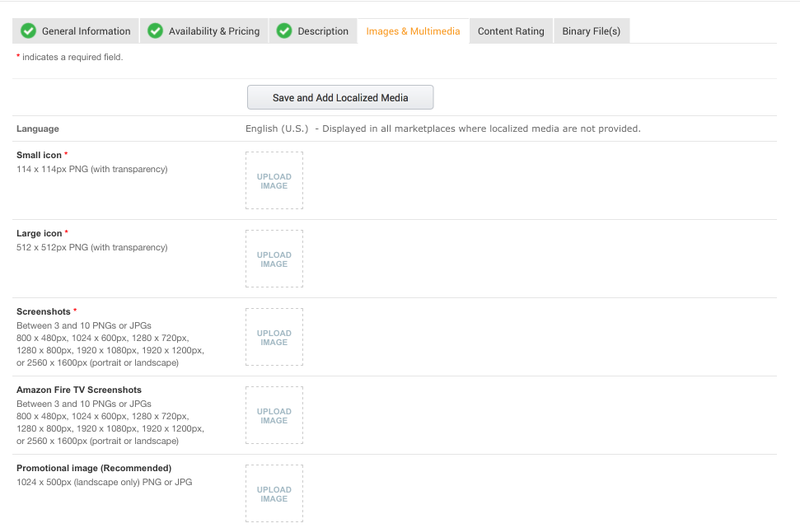 Keywords: Keywords is an optional field, and is only used to help end users find your app in the Amazon App Store. 7. Click on the Images & Multimedia tab, fill out the information as requested, and then click on "Save." 8. Click on the Content Rating tab, fill out the information as requested, and then click on "Save." 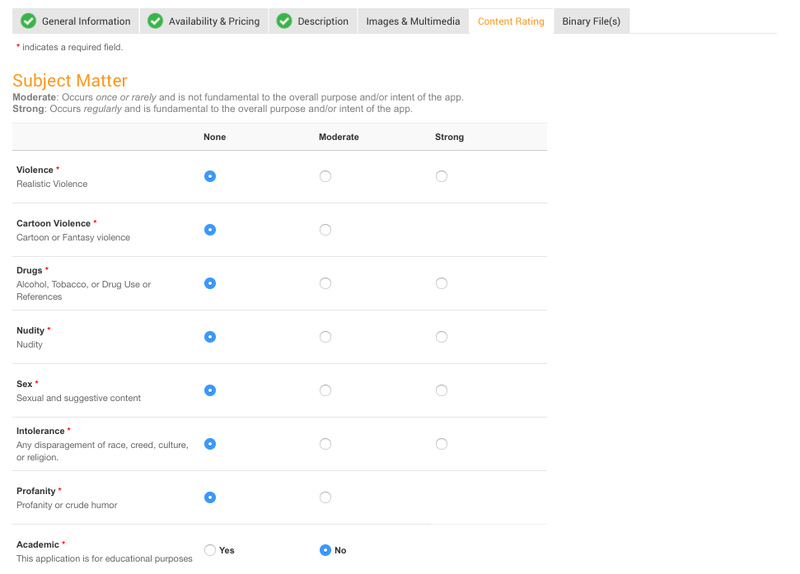 The answers you provide here will affect the rating of your app. 9. Log in to the Mag+ Publish portal <https://publish.magplus.com> and go to Apps > Android > Market Settings > Amazon. 10. Paste your Application Key (from Step 4) into the field labeled "Amazon Application Key" and click "Save." 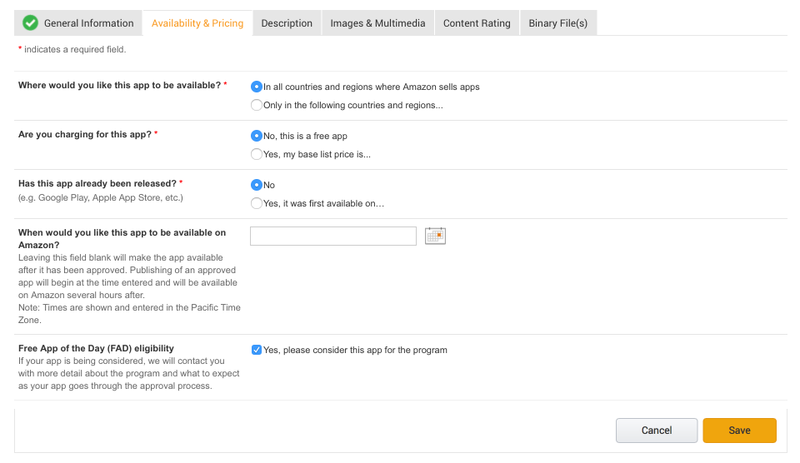 This Application Key allows you to create Kindle Fire apps in the Mag+ Publish portal, but there are additional steps to complete before you publish your app. One important item is a Keystore file which is used to certify that the app belongs to you. Since Kindle Fire apps are, technically, Android apps, the process for creating a Keystore file is the same. For more information, follow the steps outlined in the article "Android/Kindle Fire - Creating a Keystore File."